We are thrilled to announce that Alexia has been awarded an Amber Star, our very own framework by which we recognise the considerable achievements of the talented individuals we support. Alexia, who was born fully sighted but who lost her eyesight completely at the age of two due to a brain tumour, is an extremely gifted composer and recorder player. Amber has supported Alexia’s recorder lessons over the last six years and we continue to be incredibly proud of everything she achieves. Earlier this year, Alexia attained a Distinction in her Grade 8 recorder examination. She is a member of The National Youth Recorder Orchestra and in November 2015, she was Highly Commended in the Cambridge Young Composer of the Year Competition and received two commissions. Firstly, she was asked to write an oboe and violin piece for the Cambridge Music Festival, which was performed by two musicians from the BBC Symphony Orchestra. Secondly, she was commissioned by the Britten Sinfonia to compose a piece live on stage in front of the audience at one of their concerts in Cambridge. She has recently received more commissions and her pieces will be performed in Cambridge later in the year. 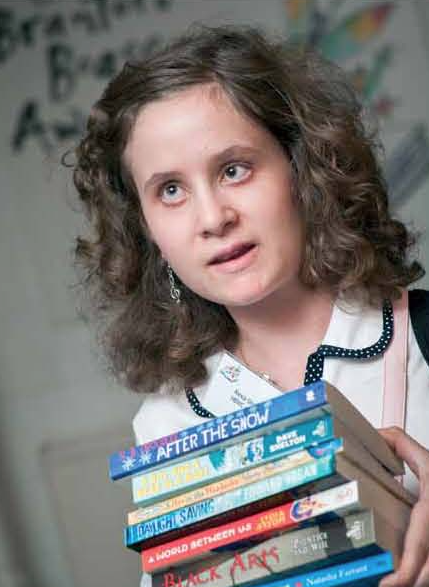 Daniel Kish, the world echolocation expert, who is blind himself, has also asked her if she would be interested in writing the music for the next film which will be made about his life and Alexia has accepted with great excitement. She is also working on the piece, as well as finishing a recorder and harp piece which will be played by the 2013 BBC Young Musician Woodwind Recorder Finalist, Charlotte Barbour-Condini. Last year, Alexia auditioned successfully for the highly competitive Aldeburgh Young Musician Scheme. The only blind composer and musician to have been accepted to date. Alexia recently joined the Junior Department of the Royal College of Music, where her principal study will be Composition and her Second study recorder. However, she has had to relinquish her place with the Aldeburgh Young Musicians as it is not possible to be a member of two centres for advanced training. While she has already achieved an incredible amount at the age of 16 years old, Alexia continues to set her sights even higher and plans to apply to read Music at the University of Cambridge in two years’ time. Music means everything to Alexia and we are so pleased to be supporting her journey. We would like to congratulate Alexia on all her achievements and wish her the best of luck with her studies at the Junior Royal College of Music. Click here to read more about Alexia.